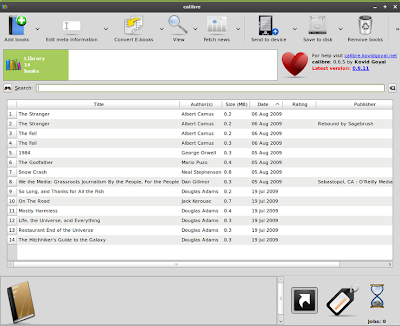 Calibre is a free and open source e-book library management application for Windows, Mac and Linux. Important functionalities include library management, format conversion, news feeds to ebook conversion and even e-book reader synchronization features. 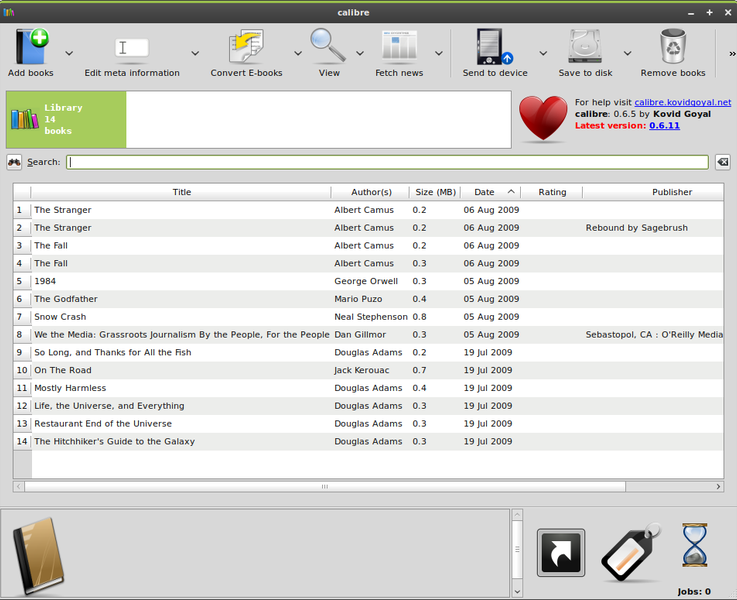 Calibre is designed around the concept of the logical book, i.e., a single entry in your library that may correspond to actual e-book files in several formats. Calibre supports all the major e-book formats. Syncing supports updating metadata on the device from metadata in the library and creation of collections on the device based on the tags defined in the library. Calibre is available within the default Ubuntu repository. Click Here to install Calibre in Ubuntu OR simply copy-paste the following command in Terminal. Done. Goto Applications - Office - Calibre. I have to add that, though the installation went fine, I was not able to launch Calibre successfully in Ubuntu at the time of writing this article. A bug report has been already filed by someone regarding the same. Thanks to our reader Aashiks for letting us know about this.